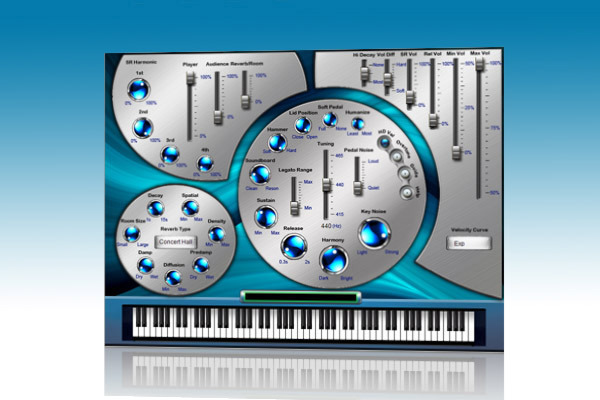 BlueStone Piano, Virtual Acoustic Piano from Sound Magic. Sound Magic releases the BlueStone Piano Convertible Version, which adds support to both Windows and Mac 64-Bit; the Convertible Version also provides AudioUnit plugin format besides the original Windows VST version. Convertible Version uses the core of the NEO Hybrid Modeling Engine and adds a new interface. Convertible Version introduces an add-on data bank. 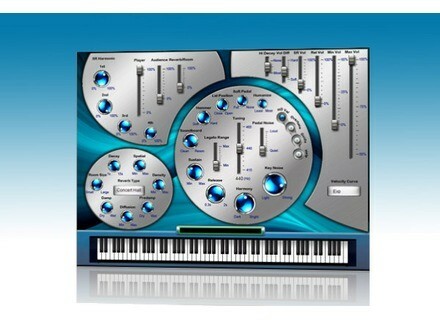 You can custom design the look of your virtual instrument. The Convertible Version is a virtual instrument that allows users to customize the GUI by adding their own personal icons/pictures. For more detials, listening audio demos, visit www.supremepiano.com/product/blue.htm. Special Offer, Guitar Pro 6 + Soundbanks Guitar Pro is a reference software for tablature editing. This sixth version comes with an improved ergonomic interface, numerous learning tools, and ultra-realistic audio rendition of your scores. IK Multimedia Releases iRig MIDI IK Multimedia is now shipping iRig MIDI, a Core MIDI interface for iOS that connects a MIDI compatible device, such as a keyboard, to the iPhone, iPod touch and iPad. Rob Papen RP-Distort Rob Papen has released RP-Distort, a distortion effect plug-in and more.